It probably comes as no surprise that most men do not like going to the doctor. In fact, women are 100% more likely than men to get an annual routine exam, according to the CDC. A study by the Cleveland Clinic showed only 3 in 5 men visit the doctor for a routine physical. Even when uncomfortable symptoms present themselves, men are more likely to ignore and endure the pain, resulting in exacerbated conditions. Promoting Men’s health should be more than just a monthly campaign, but part of your work culture. 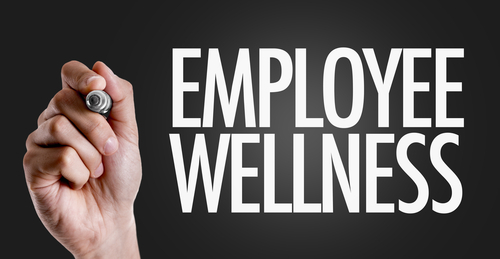 Encourage employees to speak up, be proactive, find a primary care physician, get preventive screenings, and know and understand their benefits. Men’s Health Network promotes a Wear Blue Day the Friday before Father’s Day (June 15, 2018) but a company can choose any day or make every Friday a Wear Blue Day. Employees can either dress up, dress down, wear blue ribbons, or blue jeans. Encourage the men in your company to grow out their beards for a week, two, or even the whole month of June. At the end of the month, the man with the best beard wins. To promote the importance of prevention, every man that gets his annual physical during the month of June will be entered into a drawing for a gift card. Bring in someone to educate on the diseases affecting men or importance of prevention and early detection. Another option would be to have someone with one of the disease speak to how it has changed his life. Encourage activity by coordinating an activity such as softball/baseball, basketball, bowling, etc. ; or consider encouraging/sponsoring employees to participate in a local 5K/Fun Run or hold your own!